I can’t think of a nicer way to spend an afternoon if you are planning a wedding and even better if you are looking for a wedding venue. 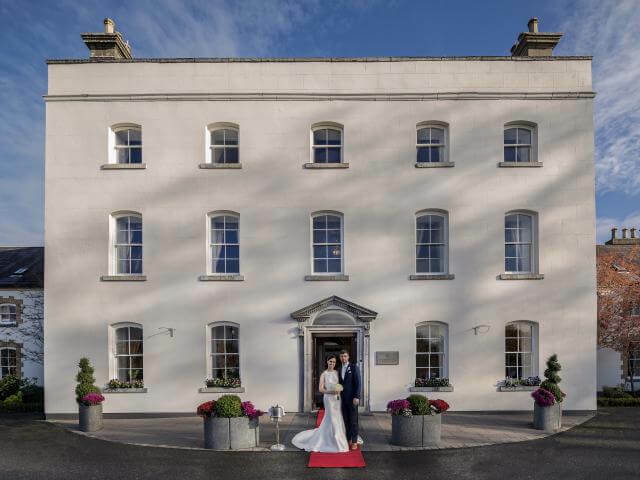 Johnstown Estate is well known for a beautiful afternoon tea, leisure break and more importantly….weddings! Johnstown Estate is located in Enfield Co. Meath and is set on over 100 acres of greenery. It brings in both the vintage essence through the original house but balances the modern day very well through a stunning blend of decor. On September the 10th, they will be hosting a wedding fair where you can see the ballroom as it would appear on your wedding day. There will also be a range of suppliers exhibiting on the day….oh and did I mention, there’s some bubbles for all to enjoy! I’m there! I am going to take a spin out before the event to have a look around so join me from 12pm onwards on Instagram Stories!